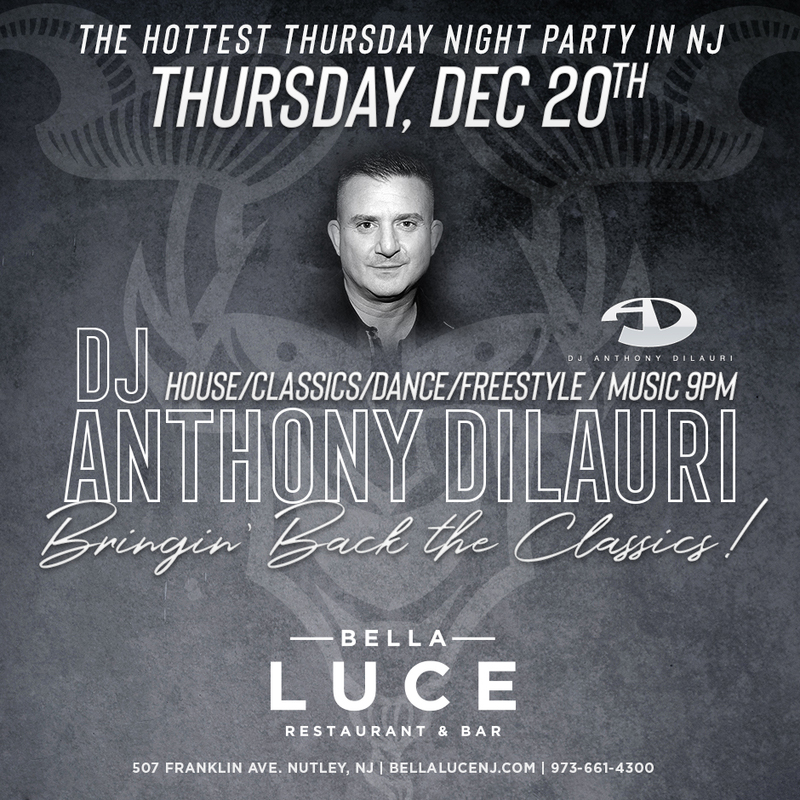 The hottest Thursday night party continues at Bella Luce through the New Year! Thursday, December 20th, don’t miss DJ Anthony DiLauri ‘Bringin’ Back the Classics’ spinning the hottest classics, house, disco, freestyle, and dance music. Music starts 9pm.